“Life’s good”. LG’s slogan represents the way it manufactures its products – to make life easier for you. Since being founded in 1958, LG has gone on to become one of the world’s most celebrated providers of household appliances and electronic goods, across products like mobile phones and air conditioning, to kitchen appliances. 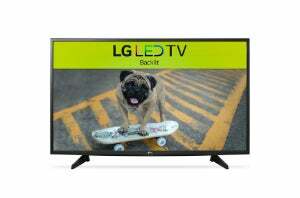 LG is perhaps best known for its big ticket home electronics, including televisions. Chances are you or someone close to you has owned an LG TV before, so popular are its TVs. According to LG’s website, there are a total of 43 televisions for you to choose from here in Australia. How can you possibly determine which one might be best for your living room? In order to help you make that decision, we have conducted a review of LG televisions. We won’t mention each of them individually here, since there way too many. Rather, we will briefly cover the price, specs and key features that are common with LG models to show you what you can expect. 4K ‘Ultra-high definition’ TVs have extremely high picture quality. With a screen resolution of 3,840 x 2,160 pixels, they have four times the definition of a standard HD TV. The result is incredibly detailed and crisp pictures, with diverse bright colours and high levels of contrast between blacks and whites. 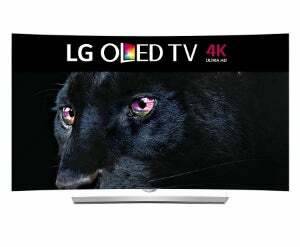 Not all of LG’s UHD models have all of these features, but you will find that the majority of them, even the cheaper ones, have most of them in different variations. So, which is the standout in the LG 4K UHD line-up? It may cost as much as a small car, but after seeing what it can do, it’s surprising that it can’t actually drive like one. 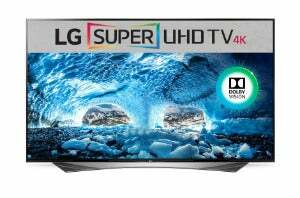 Valued at $8,500, this LG 4K UHD TV has a massive 79 inch screen with an enhanced Harman audio solution, meaning you’ll basically have your home theatre screen in your living room. It also has a 6 star energy rating, so despite its massive size, you won’t be guzzling electricity if you buy it. In terms of extra features, you’re spoilt for choice by this one. It of course comes with super UHD and DolbyVision capabilities, giving the highest possible image quality to match the sound and size. HDR gives superb contrast between shades of white and dark, and ColourPrime boosts all the other colours, giving a visual feast to your eyes. The 200HZ refresh rate also results in next to no motion blur. There is also a plethora of features that come with this TV that make it extremely convenient. A Built-in SmartTV allows you to stream endless content from sites like Netflix and Stan, and you can easily access this feature with the universal remote it comes with. If you fancy some free to air TV catch-up, you can use Freeview plus to watch your favourite recorded shows. And what if you want to watch an old favourite DVD? 6-step upscaling will turn it into the highest quality it can, giving you striking images like you’ve never seen them before. Finally, the QuadCore processor lets you do all of this quickly and delay-free. OLED TVs are even more advanced than 4K TVs. 4K LED technology (which is used in the majority of TVs produced now) uses backlighting to produce contrast, which means the pixels switch on and off to only produce light when required. OLED TVs do no such thing, giving you incredible detail when it comes to the colours white and black. These TVs give motion clarity that others simply can’t match. These TVs are, on average, more expensive than LG’s 4K models as a result. The most expensive here goes for $10,000, while the cheapest will cost you $4,000. In terms of size there is less variation, as they only come in sizes from 55 to 65 inches. Enhanced motion clarity: the pixels turn on 1,000 times faster than LED TVs. Perfect for watching sport! 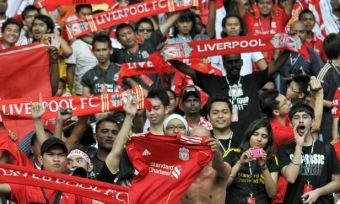 So, which particular model stands out from the crowd? This 65 inch TV is slightly cheaper than our previous pick, and by taking a closer look at it, it might even be better value for money. First of all, it has the OLED features of self-lighting pixels and the WideColour Gamut mode, giving an incredible range of colours and shadows. Combine this with OLED motion clarity, and you’d be hard pressed to find a TV out there with a clearer image! If you want a movie-like viewing experi ence, this TV will also be a good option. The curved 65-inch screen gives a wider viewing range, so you don’t have to sit directly in front of the screen to be able to see what’s going on. The sound is brilliant too, with Harman sound technology giving you a captivating audio and visual experience. Other key features of this model include SmartTV, 6-step upscaling for old DVDs, 3D technology, a universal remote and a powerful QuadCore processor to make it all happen. This is an example of one of the better OLED TVs LG has to offer. Not all of them are quite this advanced, but you can rest easy knowing that the majority of them have most of the features we’ve listed here. These TVs are certainly worth buying if you can afford them! HD TVs are the TVs you are probably most familiar with. Most TVs made now are HD compatible, and they have a screen resolution of either 720p or 1080p. So they have just a quarter of the resolution that a 4K model does. As a result of this, they tend to be smaller, cheaper and more basic. Once again, let’s have a look at one of the standout models. At $1,300, this 49 inch TV is extremely expensive compared to other non-4K models, as most of them cost significantly less than $1,000. It still gives you a rich 1080p screen resolution with a decent 50Hz refresh rate, but this obviously doesn’t compare to the quality you can get from a 4K TV. In fact, you could actually get some 4K TVs for not much more from providers such as Kogan, so this TV must have some good features to justify its price, right? Unfortunately, not really. It comes with SmartTV access (including Netflix), USB video playback, and Miracast. Most TVs can do this now however, so these features really don’t set it apart from competitors. Ultimately, LG’s full HD TV models are seemingly not worth purchasing over cheaper, equally capable models from other manufacturers. If you do want an LG TV, your best bet seems to be one of its more expensive 4K versions. With these, you’ll be blown away by the quality – but also the price tag. What do customers think about LG TVs? In 2018, Australian customers gave LG 4 out of 5 stars for overall customer satisfaction for TVs.